Railroads support the transportation needs of industries as diverse as manufacturing, oil and gas, and agriculture. The North American railway system is fully integrated, with railroads operating between the U.S. and Canada. With so much new domestic production, rail has played an increasingly important role in the movement of crude oil. 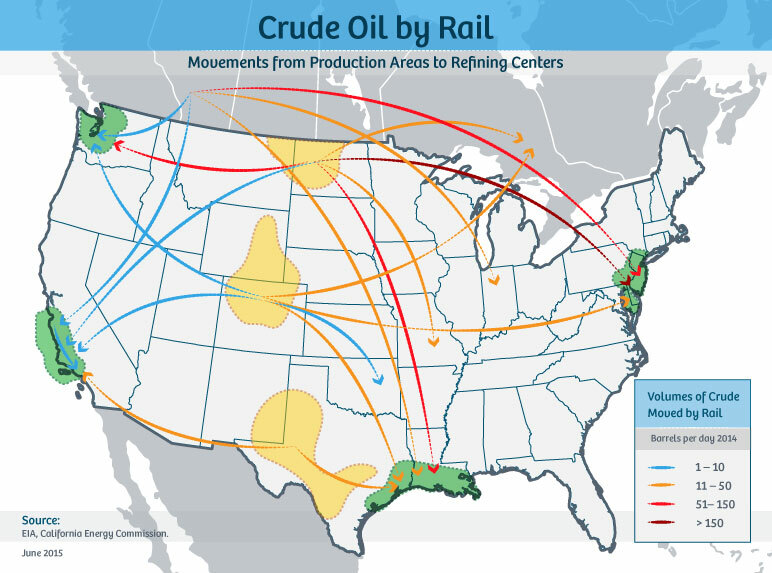 Rail loading facilities for crude oil have been or are being developed in virtually every new production area of the United States, including Texas, Oklahoma, North Dakota, Colorado, and Wyoming. Rail infrastructure is vital to moving crude oil produced in new fields to otherwise underserved markets. The Bakken formation, which lies underneath North Dakota, Montana and Canada, has played a key role in the rise of crude oil transported by rail. Because of its geographic location and lack of energy infrastructure, operators have been transporting crude oil from production areas to refineries by rail. Crude oil production from the Bakken has risen to over 1,200,000 barrels per day in 2015, up from about 200,000 in 2007. Due to the increased production, railroads transported over 265,000,000 barrels of Bakken crude in 2014, a sixteen fold increase since 2009. Railroads move more than half of this crude oil to the East Coast. Bakken crude transported by rail has increased the East Coast’s access to energy resources and brought down the cost of home heating, gasoline and petroleum products. Railroads are an important partner in the safe transportation of crude oil. Railroads are common carriers, which means that they transport a variety of goods for any person or company in the U.S. Transporting the nation’s growing freight load requires enough track to circle the Earth nearly six times. Today, the U.S. freight rail system is among the most efficient and cost-effective in the world. Railroad companies are increasing their investments in track infrastructure to prevent derailments and the loss of goods and further improve the safety of transportation by rail. Over the years, the railroad system has evolved into a broad network, delivering many vital goods throughout the U.S. The U.S.' extensive rail network moves significant quantities of energy products across the country such as coal, ethanol, wind turbine components, and crude oil. As a critical part of the U.S. energy infrastructure, rail also transports key petroleum products such as propane, asphalt, lubricants, and other necessities people rely on every day. 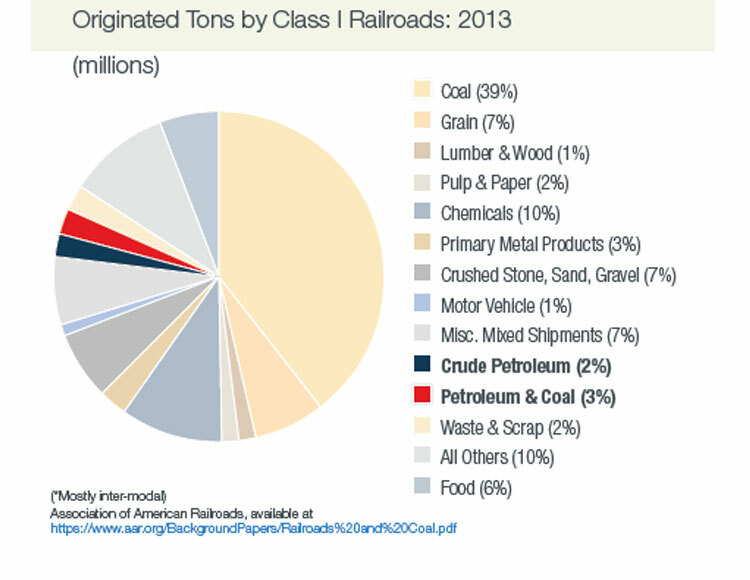 Along with energy products, railroads haul a wide variety of goods such as agricultural and food products, raw materials such as chemicals, and finished products such as electronics, auto parts and furniture. These widespread products are now more accessible to consumers because of the efficient and effective transport by rail.